How wonderful to see all of our Raider families at Meet the Teacher last week!! Our PTO celebrated our school’s wonderful diversity as we welcomed families in many different languages at the photo booth. Over 1,000 popsicles were enjoyed, many new families were welcomed and once again the halls and classrooms were alive with excitement!! Here’s to another fantastic year at RIVERDALE! Your Riverdale PTO is already hard at work making plans for this to be the best school year yet! We look forward to seeing you at “Meet the Teacher” next Tuesday, July 31 from 3-6 p.m. There will be popsicles, a fun family photo booth, tours, school supplies, and lots of helpful information for our Riverdale families. 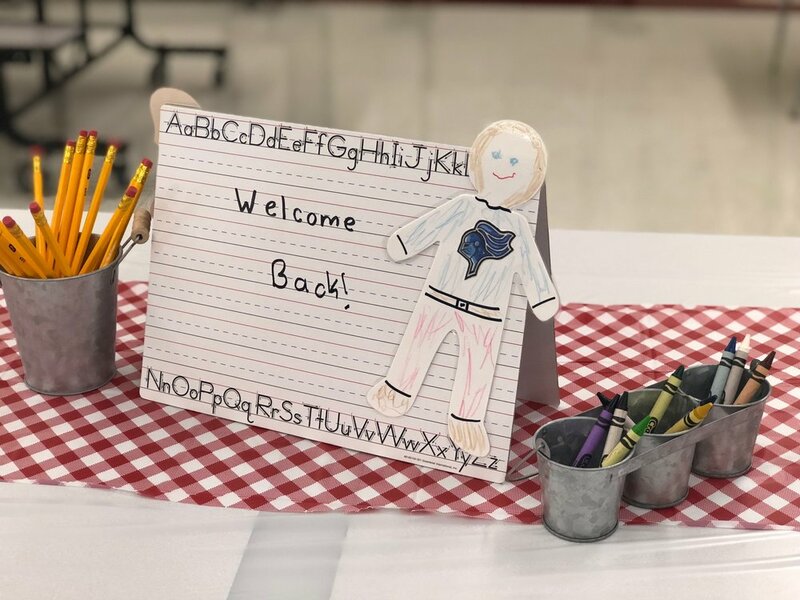 If you are new to the Riverdale family, please be sure to stop by the New Family Welcome Table. Our PTO board members are eager to meet you and share a folder full of great Riverdale information. We are thrilled to welcome you to Riverdale! Most importantly on this day, you will meet the AMAZING teachers and Administrators that will guide your child/children through this important school year. They are the force behind Riverdale’s success! In the midst of all the back-to-school excitement, I hope you will make the time to join your Riverdale School PTO. Family memberships for this school year are $15, GMSD employees are $5 and membership can be paid with the click of a button through the website. I promise, your membership does not commit you in any way to a volunteer job!!! What your membership does is it provides much needed classroom supplies and items for our school. We want every parent to feel that Riverdale is as much your school as it is your child’s. For all interested, there are volunteer opportunities to fit every schedule and we look forward to sharing those opportunities with you this year through Skyward and at our Volunteer Fair which will be held in conjunction with the Club Fair and PTO General Meeting on Tuesday, August 28th. I know you will want to mark your calendars now! Marco’s will provide a pizza buffet dinner this evening as well. For the most up to date current events be sure to check the school calendar on the Riverdale website along with the GMSD calendar of upcoming events located on the GMSD website. Also, follow your PTO on Facebook (@riverdalek8pto), Twitter (@riverdalepto), and Instagram (@riverdalepto). On behalf of your PTO, I wish you wonderful remaining days of summer break and I look forward to seeing you next Tuesday at Meet the Teacher! Wishing your family the very best for this new school year! Your support of the PTO is critical in helping us provide needed resources and support for Riverdale. When you choose to support the PTO through annual membership and fundraising throughout the year, we are able to accomplish great things. 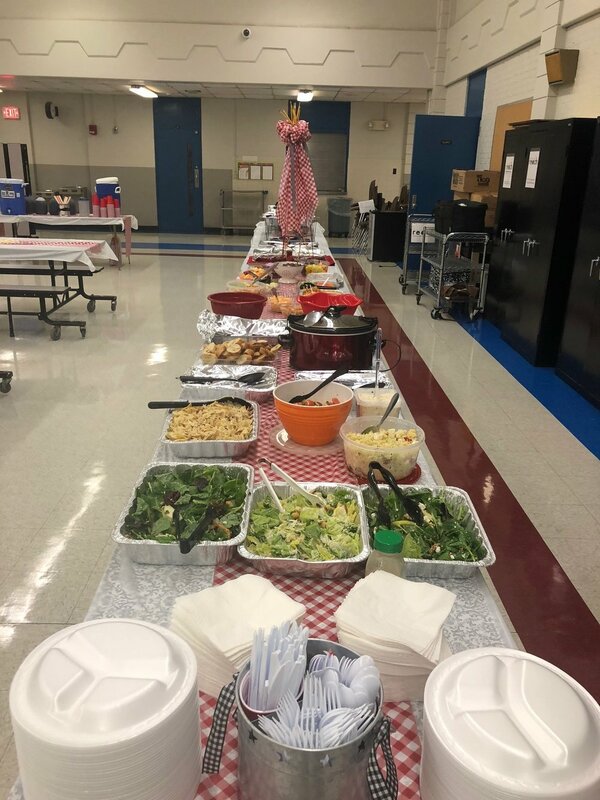 Last year, your Riverdale PTO proudly provided…. And so much more! !Thank you to our Riverdale Families for your continued AMAZING support of the PTO!!!! Our annual Riverdale PTO Dodgeball Tournament is coming up Friday, February 2nd from 3:45-6:00 in Riverdale gym B! Grades 5-8 (teams of 8-10 players). All of Riverdale can come watch. Prizes for best dressed team and best cheer section. There will be concessions! We are so excited about the start of a new school year, and the launch of our Riverdale PTO! We would love for you to join us as we start this great adventure together. Teacher appreciation lunches, treats, etc. To join the PTO, visit our membership page here. Josh is a professional photographer, designer and storyteller. He is the founder and Executive Director of LUX Creative, a non-profit creative consulting and production company. Josh has a BA in Political Science from the University of Memphis and an irrational fear of bees. Are you ready for the beginning of a GREAT adventure? Your Riverdale School Parent Teacher Organization (PTO) is already hard at work, making plans for this school year to be all that and so much more for your family! A brand new building, more parking, our newly independent PTO! Yes, even more local control...it is sounding GREAT already! We look forward to seeing you all at the Ribbon Cutting for the new Middle School Building and Meet the Teacher Day on Thursday, August 3. There will be cookies, the now famous "back-to-school" photo booth, tours, school supplies and each family will be able to take home a special keepsake piece of ribbon that will be cut for the new building. The Ribbon Cutting will take place at 2:30pm with activities to follow. Classrooms will be open from 3:00-6:00. If you are a new Riverdale family please be sure to stop by the New Family Welcome Table. Our PTO board members are eager to meet you and share a folder full of great Riverdale information. We are thrilled to welcome you to the Riverdale community! Most importantly on this day, you will meet the AMAZING teachers and administration that will guide your child/children through a GREAT adventure this school year. They are the force behind the Riverdale success! In the midst of all the back-to-school excitement, I hope you will make the time to join your Riverdale School PTO. Family memberships for this school year are $15, GMSD employees are $5 and membership can be paid with the click of a button through this website. Now that we have local control and are independent ALL membership dues paid will remain at our school! Be sure to check out the PTO calendar of events and follow us on Facebook (@riverdalek8pto), Twitter (@riverdalepto), and Instagram (@riverdalepto). Should event dates change, we will update as quickly as possible. On behalf of your PTO, I hope you will be soaking up these last wonderful days of summer break! But get ready for August 3-- your great adventure awaits! !